Police are investigating how the driver of an SUV ended up in a wreck with an 18-wheeler on the Katy Freeway. KATY, TX -- Two men have been hospitalized after an accident involving an 18-wheeler. 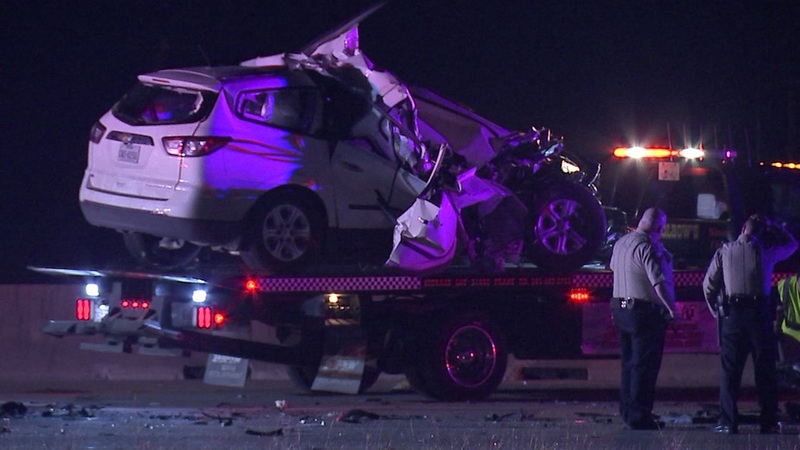 The accident happened around 10:30pm on the Katy Freeway eastbound near Pederson Road in Katy. Investigators say two men were traveling in a Chevrolet Traverse when they crashed into the rear of that big rig. Both men were trapped inside the SUV for an extended period of time before firefighters were able to extract them. The victims were taken to the hospital by Life Flight, but are expected to survive their injuries. Katy police are investigating the exact cause of the accident.